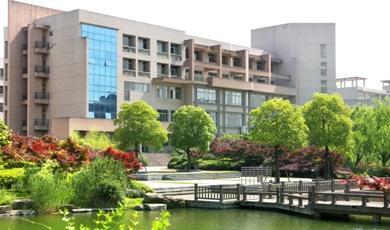 Zhejiang University of Finance and Economics (ZUFE) is situated in the prosperous and picturesque city of Hangzhou, which is well known for its history, culture and scenery. It is a provincial university with special distinction in economics and management, which develops harmoniously with diverse disciplines like literature, law, science, engineering, and art. 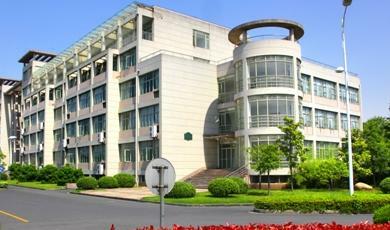 Its predecessor —— the Finance and Banking School of Zhejiang Province, was founded in 1974. 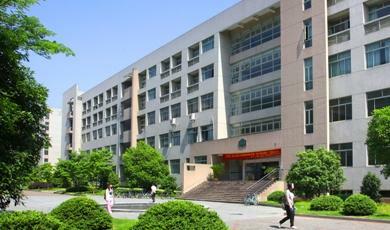 In 1987, this school was enlarged and renamed as Zhejiang College of Finance & Economics under the approval of the State Educational Commission of China. 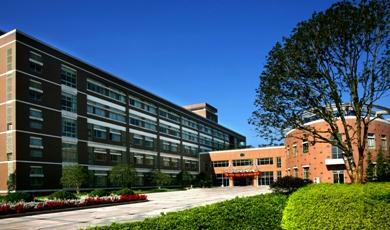 It was authorized to confer Bachelor's degrees in 1991 and Master's degrees in 2003. In 2006, the University achieved excellence in the Undergraduate Educational Evaluation conducted by the State Ministry of Education. It has been ranking as one of the most welcomed provincial universities in our province. 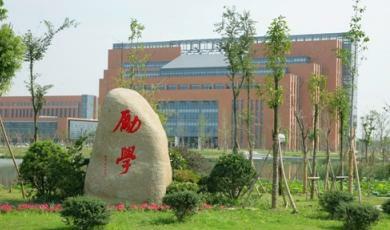 ZUFE is a key university in Zhejiang province, well-known for its unique characteristics and advantages. 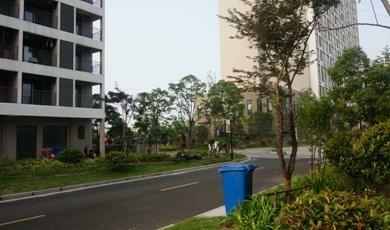 With three modern campuses in and near Hangzhou (Xia-Sha Campus, Wen-Hua Campus and Chang-An Campus), the university occupies a total area of over 153 hectares. 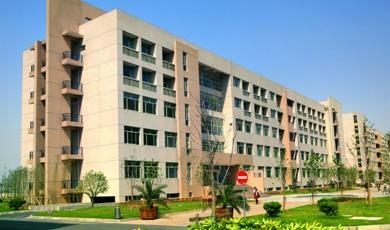 All the campuses are equipped with advanced and modern educational facilities. At present, ZUFE has fourteen schools, one physical educational department, one independent college and one continuing educational college. There are five province-level key disciplines, one key social science research base and one key humanities research base. ZUFE has over 1,300 highly-leveraged academic staff and an enrollment of over 26,000 full-time undergraduate and graduate students. As a creative and dynamic higher educational institution, ZUFE always attaches great importance to international exchanges and cooperation with foreign universities. Up to now we have established close and collaborative relations with 69 universities and research institutions in nearly 20 countries and regions, including the U.S.A, the UK, France, Denmark, Japan, Korea and Australia. Besides, the university offers scholarships to excellent students. Both ZUFE and Zhejiang provincial government offer various scholarships to outstanding international students, so there are many kinds of scholarships available to international students. ZUFE is a school full of vigor and vitality. It has been welcoming students from all over the world, and international students have become an integral part of our community on campus. We invite you to visit our website and select academic programs suitable for you. 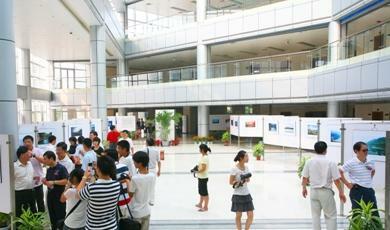 We appreciate your interest, and we hope you will choose to study in our university. 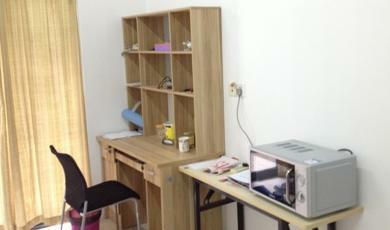 International students’ living rooms are well equipped with air-conditioners, water dispensers, furniture, beddings, etc. 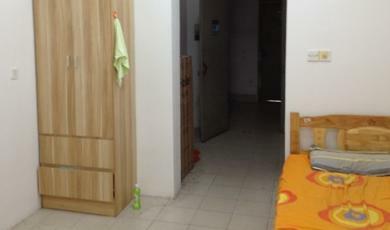 For more details about the living conditions, please refer to the photos provided. 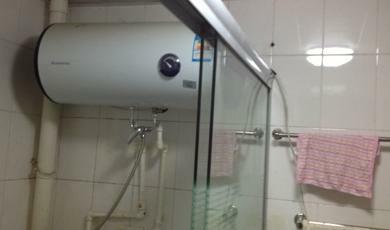 The monthly rent for a single roomisRMB¥800, andRMB¥500 per person for a double room. 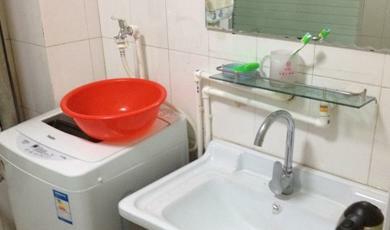 Electricity, water and internet bills are not included in the rent. 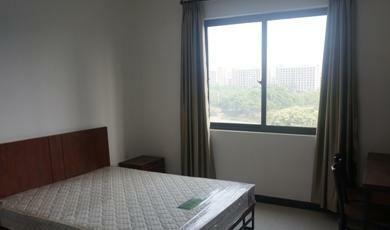 Another option for international students is to live off campus. 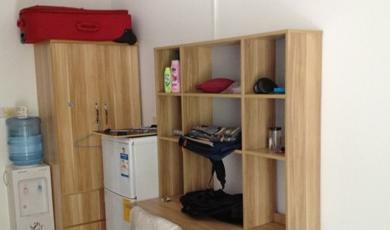 The monthly rent for an apartment equipped with furniture around our university is from RMB¥1,200to RMB¥1,600.The rent for a larger apartment may be a bit higher, but it can be shared by two or three tenants. Students living off campus shall bring their lease agreements to the International Students’ Office in SIE for registration. l Breakfast:from6:30 a.m. to 8:00.a.m. There is a wide variety of facilities and services available at ZUFE, including clinics, banking services, stores, canteens, basketball, volleyball and football courts, a library, a gymnasium, a stadium, a swimming pool, etc. The university provides pleasant, comfortable on-campus residence halls, which are fully equipped with TV sets, telephones, air-conditioners, laundry machines, refrigerators, microwaves, laundry driers, water heaters, kitchenware, ADSL broadband, etc. The university is located in a fully-developed community with a comprehensive variety of facilities and services, which include large public hospitals, banks, post offices, supermarkets, cinemas, gymnasia, etc. 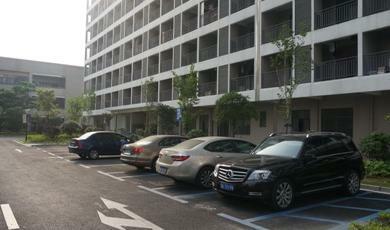 Xia- Sha has a well-developed public transportation system, operating over ten bus routes to downtown Hangzhou. It takes only 30 minutes to go to the downtown by B1 or B4 (Bus Rapid Transit No. 1 and No. 4).There is a bus departing from the terminal next to our university for the downtown every five minutes. The operating hours of B1 and B4 are from 6:00a.m. to 21:30p.m. Subway Line No.1wascompleted and put into service in the mid of the year. It has now become another option for traveling to the downtown, which only takes about 20 minutes to travel to the center of Hangzhou from Xia-Sha. The flag-down price of the taxi in Xia-ShaisRMB¥5. 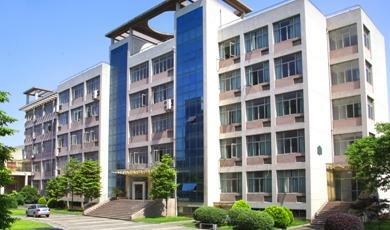 At present, there are some schools which can provide undergraduate and postgraduate programs taught in English. Applicants who have good English proficiency can apply directly for taking undergraduate and postgraduate degree programs. Zhejiang University of Finance & Economics (ZUFE) has set up 38 postgraduate degree programs, including these strong programs like Science of Science, Accounting, Enterprise Management, Statistics, Finance, International Trade and Economics. 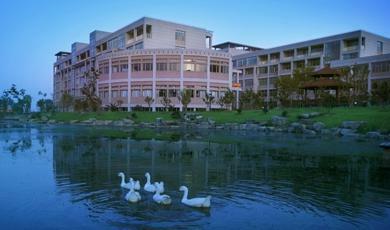 The following 36 master degree programs are all available to international students. The non-degree programs with duration of one semester or above in ZUFE are offered to international students or overseas Chinese whose native languages are not Chinese. 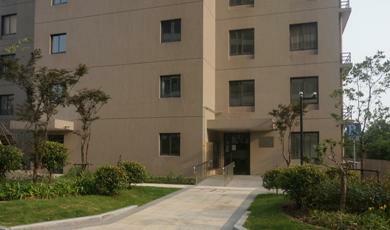 It is divided into elementary, intermediate and advanced Chinese programs. 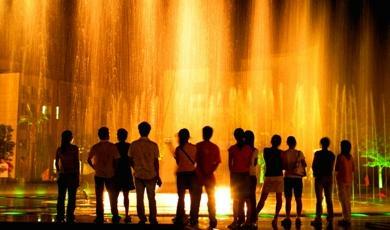 Students at different levels could enjoy differentiated education according to their actual level of Chinese. Our semester usually covers 17 weeks with 20 periods for each week. This scholarship is conferred only to students who sit their HSK test after their registration in our university. 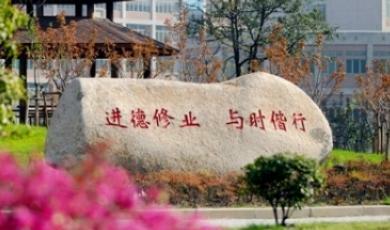 No scholarship will be awarded to students who pass the same grade of HSK test for the second time. Individual Scholarships include Progress Scholarship, Artistic or Athletic Participation Scholarship, Artistic or Athletic Winner Scholarship as well as Social Welfare Scholarship. Applicants who continue their undergraduate study in our university after completing over one semester’s Chinese language learning, or continue their graduate study in our university after completing undergraduate study in our university will receive a discount of 10% on their first year’s tuition fees. Alumni Scholarship winner can also apply for other scholarships if eligible. Family Member Scholarship is set up to encourage more international students to study in our university. If an international student is currently studying in our university or has graduated from our university, his immediate family members like sisters, brothers, parents, sons, daughters and spouse will receive a discount of 10% on their family members’ tuition fees of the first year. Family Member Scholarship winners can also apply for other scholarships if eligible. Application Time: From November to January during the Spring Semester and from February to May during the Autumn Semester. (1) A completed application form for “ZUFE Scholarship for International Students”. (2) Notarized certificate of the highest academic qualifications and academic transcripts. (3) Proof documents showing your Chinese or English language proficiency. (5) Other documents necessary for the application of the specific scholarships.